If you’re planning on going to Mexico for next few months, you should better first read these following facts about Cinco de Mayo since it’s the favorite Mexican celebration for you to watch. Cinco de Mayo, however, is a celebration held on May 5. It originated with Mexican-American communities in the American West as a way to commemorate the cause of freedom and democracy during the first years of the American Civil War, and today the date is observed in the United States as a celebration of Mexican heritage and pride. To get to know more about it, here are other facts about Cinco de Mayo you may like. The celebration of Cinco de Mayo is a Mexican national holiday which celebrates the triumphant victory of the Mexicans over the French in 1862 at the Battle of Puebla. Some people are sometimes mistaken this day with Mexican Independence Day. However, Mexican Independence Day is not celebrated on the 5th of May but on September 16th. The Battle of Puebla was a major victory for the Mexican people as only 4,000 Mexican soldiers battled and defeated 6,500 French soldiers. The entire war took 6 more years to finish, but the victory at Puebla was a huge win for the Mexican people. 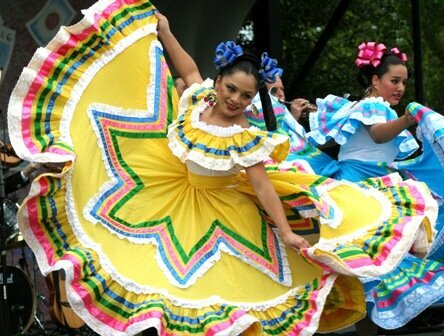 The biggest Cinco de Mayo celebration is held in Puebla, Mexico. For those who want to join the celebration, there are some parts of the celebration. Wearing Western costumes is one of the examples and one of the most interesting part of the celebration. Typical Cinco de Mayo celebrations include dancing, mariachi bands, Mexican food and drink, festivals and parades, much like any holiday. The first Cinco de Mayo celebration took place in southern California in 1863. Los Angeles has the largest Cinco de Mayo celebration in the world called Fiesta Broadway, with over half a million people attending this massive street party. Chandler, Arizona celebrates the traditional way, but then throws a twist, they have Chihuahua races which is much like horse races, except on a much smaller scale. Cinco de Mayo is also celebrated in the Carribbean, Australia, and Canada, as well as in Latin countries, and of course, The United States. Those following facts about Cinco de Mayo would probably expand your knowledge about how interesting the celebration is. For those who have watched this celebration once might have came back a year later to watch it again, right? Hope this Cinco de Mayo facts would be really interesting and useful for you to read.